Internet Explorer 9, which was released Monday, was downloaded 2.35 million times in the first 24 hours it was available, according to Microsoft. The beta version of this iteration of the browser was downloaded only 1 million times during the first day of its availability. For the final version of IE 9, that’s almost 98,000 downloads per hour, or 27 downloads per second, however you want to look at it. “We want to thank everyone around the world for downloading IE9 and the enthusiastic reception,” Ryan Gavin, Microsoft’s senior director of Internet Explorer, wrote on the IE blog. Compared to other browsers though, IE 9′s numbers aren’t quite as impressive. In a few hours after becoming available, Firefox 3.5 saw more than 1 million downloads in 2009. And by the end of its first 24 hours the year before, Firefox 3.0 had been downloaded 8 million times. 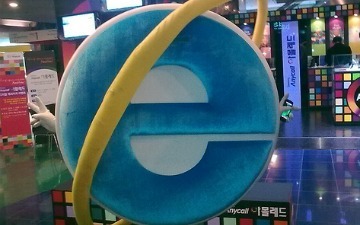 The updated Internet Explorer includes HTML5, an improved UI and a built-in do-not-track function. It’s available for download at BeautyoftheWeb.com. IE 9 will soon face more competition from Firefox, which is set to release the final version of Firefox 4 on March 22.